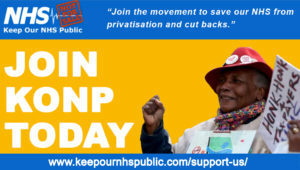 Keep Our NHS Public is the longest running national and local membership campaign fighting to save our NHS. You can find out more about us here. Here you will find job opportunities working alongside our experienced campaigning team at the hub of nationwide network of activists who support a community of health campaigners with unparalleled passion, and build the campaigns that make a difference to help keep our NHS public, safeguarding a publicly owned, publicly run universal health service for each and every one of us. 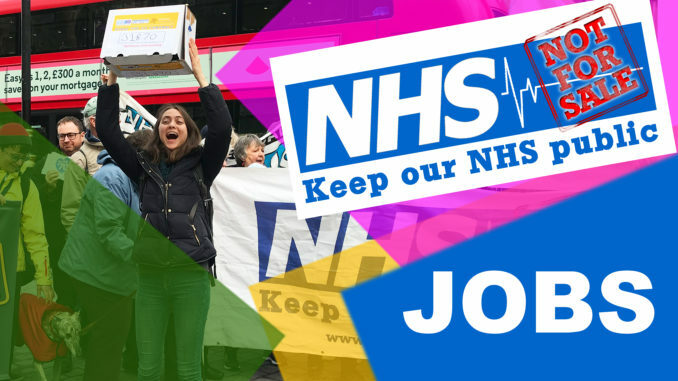 We are currently looking to recruit a friendly, committed and enthusiastic administrator at Keep Our NHS Public (KONP). This key role is all about ensuring that KONP's campaigning can have the biggest effect possible by providing us with essential administrative support. The role involves being the first point of contact for people who engage with our campaign, offering assistance to community and national campaigners and the KONP team. Other roles include managing the KONP online shop, managing our group and membership subscriptions, managing alongside the campaigns officer and others, the volunteer roles and assisting in organising events to build the campaign. You can find out more here.